Writers/Performers: Todd Risley, Ardith Abate, and Mitch Earle. 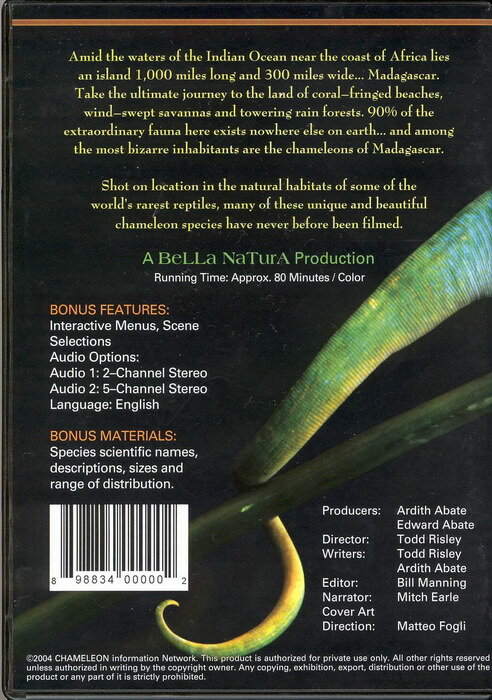 Directors/Producers: Edward Abate and Bill Manning. 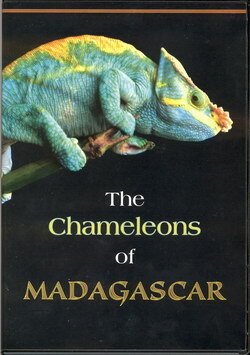 Amid the waters of the Indian Ocean near the coast of Africa lies an island 1,000 miles long and 300 miles wide... Madagascar. 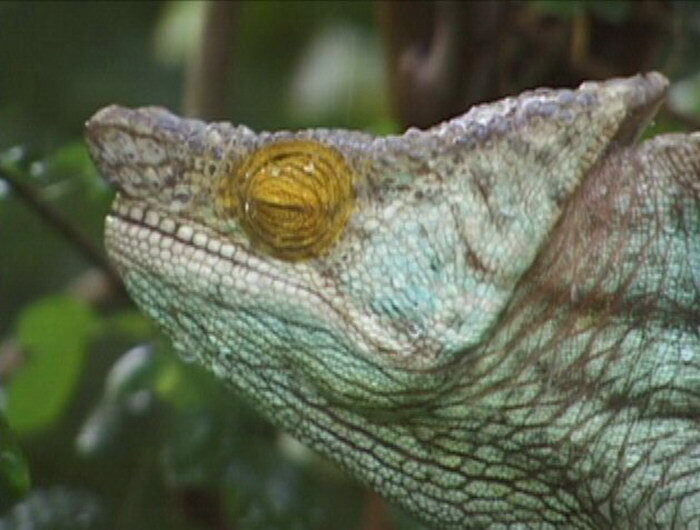 Take the ultimate journey to the land of coral-fringed beaches, wind-swept savannas and towering rain forests. 90% of the extraordinary fauna here exists nowhere else on earth... and among the most bizarre inhabitants are the chameleons of Madagascar. 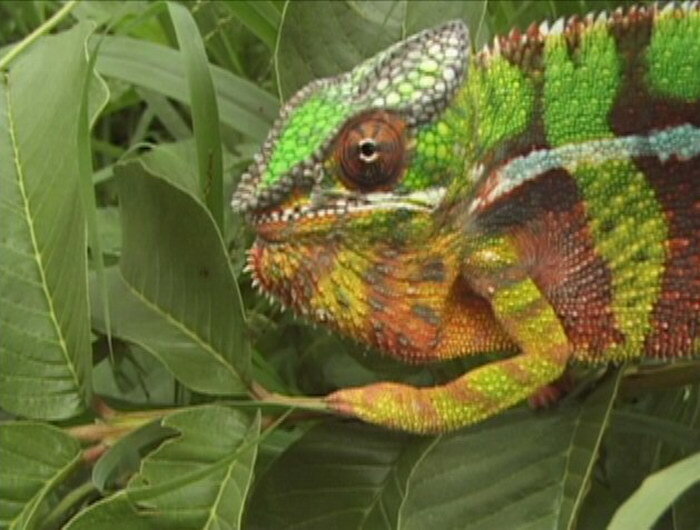 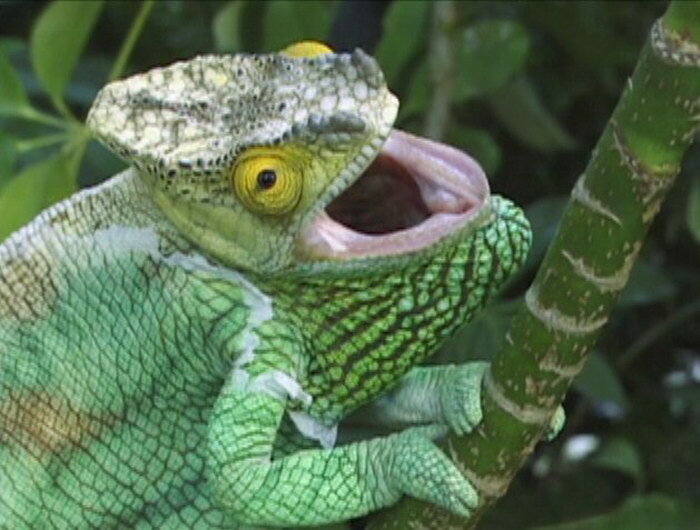 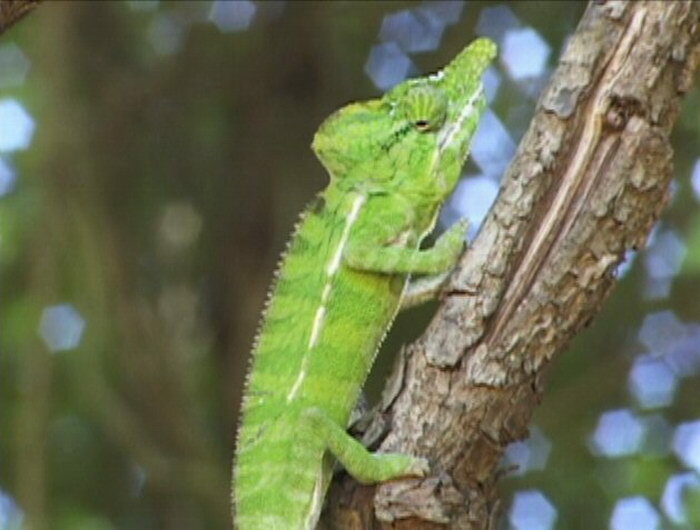 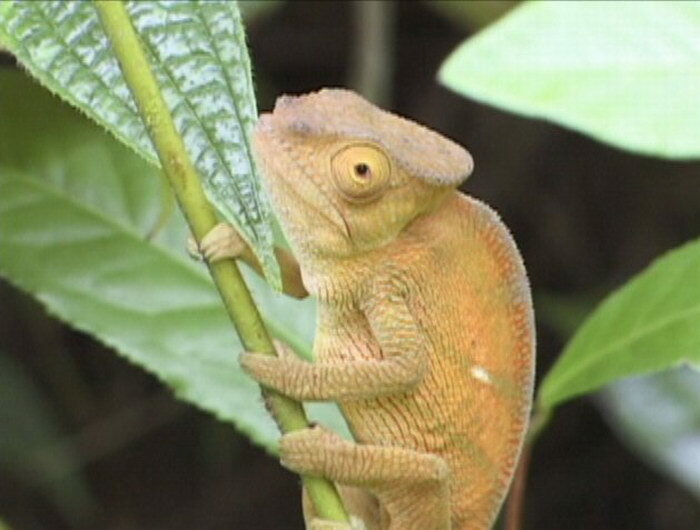 Shot on location in the natural habitats of some of the world's rarest reptiles, many of these unique and beautiful chameleon species have never before been filmed. 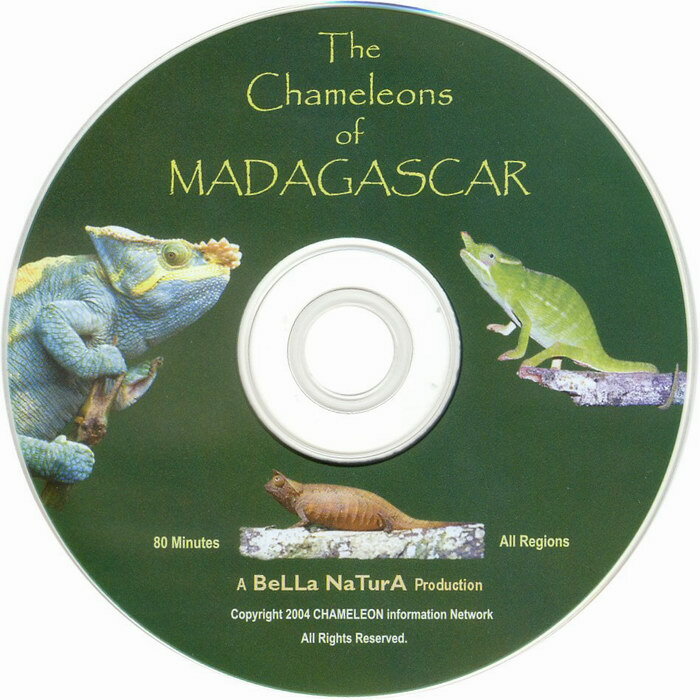 Bonus materials include species information including scientific names, descriptions, sizes, photographs, conservation status, and ranges of distribution.